Oftentimes when the anticipation and expectations for something that is truly fantastic finally arrives, there is usually a huge letdown shortly thereafter. But that is most certainly not the case with the release of the much-awaited Gary Taubes book Good Calories, Bad Calories. Although it has only been available for a little more than two weeks, the ripple effect from this book touting fat consumption and carbohydrate restriction has moved beyond the friendly confines of the low-carb community and right smack dab in the center of the mainstream health arena where it belongs. I'm very surprised to see such a welcoming embrace for a book with the counterintuitive message that this one clearly outlines. After seeing Taubes take on low-fat diet icon Dr. Dean Ornish in a televised debate a few years back, I was anxious to see what he had to say about the new Gary Taubes book. Since I had interviewed Dr. Ornish last year and felt he would definitely have an opinion about this book, I contacted him about it for a quote. He responded wanting to know what I thought about it. Um, YOU FIRST! We'll see if that ever happens because something tells me Mr. Low-Fat Diet hopes this book gets buried. One person that most certainly has something to share about Good Calories, Bad Calories is a woman who worked directly with the late great low-carb advocate himself Dr. Robert C. Atkins for three decades. It's Jacqueline Eberstein, R.N., co-author of Atkins Diabetes Revolution, who is arguably the most knowledgeable Atkins diet expert in the world right now. She's carrying on the message that Dr. Atkins championed during his life at her Controlled Carbohydrate Nutrition web site. even while the U.S. population is getting sicker and sicker. examining how low fat and the diet-heart hypothesis has become written in stone. book I have come to realize Dr. Atkins wasn't being unfair—just accurate. carb as a healthy way of life. the thoughtful and careful work Gary did to write "Good Calories, Bad Calories." needed and important resource and educational tool. Well said, Jackie! I think you echo the sentiment that so many of us low-carbers feel about this book right now and we appreciate your one-of-a-kind take on a book of this magnitude. Here's hoping those healthcare professionals and consumers who need to read it do. If you haven't been to the Amazon.com page for this book, then you really oughta take a look. Sure, there are some knuckleheads on there who haven't read the book posting negative, low-rated "reviews" of Good Calories, Bad Calories, but there are also some real gems on there, too. Be sure to take a look at Olivia Brown's exclusive video review of the book while you are there. She is a regular reader of my blog and was so excited to share her comments about the book. One of the Amazon readers named Myrna responded to my interview with Gary Taubes that I reposted there and she had a question about it. Low-Carb Man, I appreciate your interview very much. But, like J L West, I was really struck at Taubes remark about the "40 percent of what I wrote in the Times article I no longer believe." I understand your explanation that your interview questions were not real-time, but I sure would like to hear the man, himself, elaborate on that comment. Since you are so connected and into all of this, maybe you can be the conduit. Thanks. Since he was kind enough to agree to an interview with me for my blog, I went ahead and forwarded the question to Taubes for a response. Within a few hours, he answered it clarifying what he meant by the statement in my interview. When I reported and wrote the NYT Magazine article, I implicitly believed that fattening and obesity were caused by consuming more calories than we expend. This means I also believed implicitly that excess calories are just dumped into the fat tissue when we don't use them. This is why I gave credence to David Ludwig's hypothesis that perhaps we get fat on refined carbohydrates because they cause this overshoot of insulin and in turn a dip in blood sugar that makes us eat more. I also took seriously Michael Schwartz's notion that insulin works primarily to inhibit appetite in the brain. I believed that Atkins diet might work by suppressing hunger in the brain, perhaps via some effect of ketones. Again, all these ideas are based on the assumption that the primary causal factor in weight is eating too much -- hence, hunger -- rather than a direct effect of insulin and carbohydrates on the fat tissue itself. By the time I had finished researching the book (if you could say, I'm ever finished) I believed that fat accumulation is regulated very carefully by hormonal and neural factors and that the only way to accumulate excessive fat is to screw with this regulation, which is what carbohydrates do. Overeating is then a side-effect that facilitates fattening, not a cause. When I wrote the NYT Magazine article, I also had no reason to question the glycemic index concept. Now I think it may have done more harm than good because it directed attention away from the fructose component of sugar and high fructose corn syrup and it's conceivable that the high fructose concentration in modern diets is the primary health problem. I like the fact that Gary Taubes did not go into the writing process with any preconceived notions. He simply followed the data and let the science dictate what the truth was. That's what makes Good Calories, Bad Calories so special and people are beginning to realize that. That's why this book will have legs well beyond the 60-90 days that are typical for most books. Speaking of Amazon, Gary Taubes was as shocked as anyone when his book shot up the charts seemingly out of nowhere on Wednesday afternoon. But, little did he know at the time that arguably the most prominent media figure in America today had mentioned it on his program. That's right, Rush Limbaugh gave a shout out for Good Calories, Bad Calories in the opening segment of his popular radio talk show on Wednesday and sales skyrocketed! The book quickly moved from #75 up to #15 within a couple of hours. Limbaugh's take on the "fat is bad for you" crowd is a refreshing change from those who would prefer to keep their head in the sand pretending that the failed low-fat diet approach is the gospel truth. While Limbaugh himself has struggled managing his own weight, he supports people making their own personal choices about what's healthy for them. It's obvious the government hasn't got a clue what is actually good for us or not. The man Rush Limbaugh was quoting from in his segment where he talked about Good Calories, Bad Calories was John Tierney from the TierneyLab column at the NY Times. You must read his thought-provoking column "How the Low-Fat, Low-Fact Cascade Just Keeps Rolling Along" for his theory about cascading theories that become perceived facts since they remain unchallenged and generally accepted. Low-fat diets are best for health and help you live longer is one major cascade Tierney discusses. It's a fascinating concept to think about...one that ties in well with the Taubes book. Look for more nuggets of wisdom from Tierney about Good Calories, Bad Calories coming soon. Is Gary Taubes releasing a follow-up book this soon? The ever-entertaining and informative Dr. Mike Eades from Protein Power fame took a good look at the Tierney hypothesis about cascades and extended it with his own unique brand of commentary and analysis. If you aren't regularly reading Dr. Mike's blog, then BOOKMARK IT NOW! You won't EVER want to miss what he has to say. Columnist Rowland Nethaway wonders out loud if we have been lied to by our government and health leaders about high-fat diets being the culprit behind obesity and disease, then what else have we been lied to about? What else indeed! 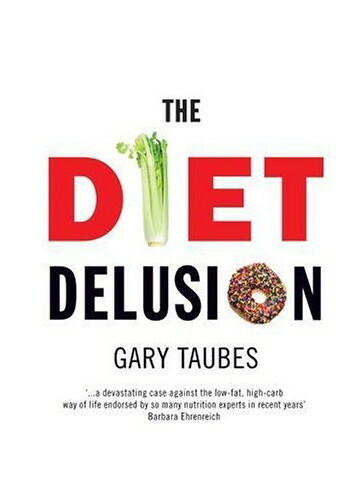 Contributing writer Nora Ephron, a self-proclaimed livin' la vida low-carb supporter, was excited about the Taubes release because it's what she has been doing her entire life. I love her matter-of-fact writing style ("Let me explain this: you can eat all sorts of things that are high in dietary cholesterol--like lobster and cheese and eggs--and they have NO EFFECT WHATSOEVER on your cholesterol count. NONE. WHATSOEVER. DID YOU HEAR ME? I'm sorry to have to resort to capital letters, but what is wrong with you people?"). Sounds like something I would write! LOL! Go Nora! Reviewer Jeff Bercovici noted the huge backlash that Gary Taubes received after his infamous NY Times column in 2002 undoubtedly prepared him to be extremely thorough in Good Calories, Bad Calories so that the information he presented was beyond reproach. And he has succeeded at doing just that and more, Bercovici explained. Interestingly, Taubes was quoted as saying he inadvertently became the "savior of the low-carb diet community." Well, I'll at least call him an angel for bringing the right message at the right time. Blogger Muata, who subscribes to and has been very successful on a calorie-controlled, low-carb diet a la what Australian independent researcher Anthony Colpo describes in his Fat Loss Bible book, believes Good Calories, Bad Calories is uniting the low-carb community at a time when people are asking questions about the role of fat and cholesterol in a healthy diet. Be sure to read his three concluding points about the book that will have you cheering in agreement. EXCELLENT REVIEW, Muata! You'll notice Muata mentioned at the end of his post that there would be a chapter-by-chapter discussion of Good Calories, Bad Calories at my "Livin' La Vida Low-Carb Discussion" forum coming soon. Yep, by popular demand from this thread discussing the book, I have decided to host one chapter a week for discussion beginning on Monday, October 29, 2007. In fact, Gary Taubes has agreed to answer any questions where we are all stumped by something in the book, so this should be quite exciting. Be sure to register now at the forum so you can participate in the discussion. We'll be keeping our eyes open for even more news about this book (and will hold out hope that Dr. Ornish may wise up and actually say something about it one of these days). 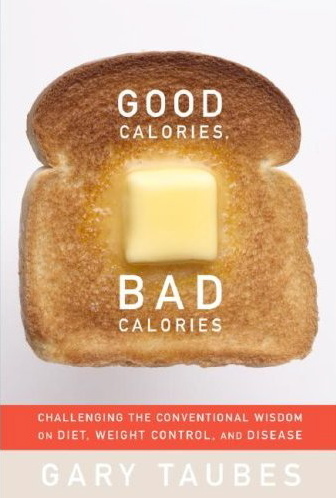 If you haven't even picked up a copy of Good Calories, Bad Calories yet, then what are you waiting for? CLICK HERE and find out for yourself why it's the most talked about health book of the year! Dr. Fuhrman makes the claim that Taubes is simply parroting what the low-carb community is telling him to say. Um, that would be news to him, sir. This man is about as thorough and meticulous as anyone I have ever met. He simply followed the evidence and took it where it led him. Just because you personally disagree with his conclusions, that doesn't mean they are wrong. But we are talking about a known radical low-fat, anti-meat zealot who enjoys resurrecting the debate over the death of the late great Dr. Robert C. Atkins, describing low-carb diets in his Eat To Live book as a "dangerous weight loss scheme," and regularly blasting the low-carb lifestyle for being an unhealthy nutritional approach (with very little real evidence to back up that claim). Consider the source. He's no "genius"--Dr. Fuhrman refuses to acknowledge that livin' la vida low-carb is helping real people like you and me lose weight and get healthy. Even I am not that "nutritionally naïve" to foolishly believe there is one set diet for everyone as he believes. My philosophy for a healthy lifestyle is this: Find the plan that works for you, educate yourself completely about that plan, follow that plan exactly as prescribed by the author, and then KEEP doing it for the rest of your life. If people like Dr. Furhman and Dr. Ornish would simply adopt a similar strategy as I have, then perhaps we could actually make a positive difference in the obesity and health problems people have. Will Dr. Fuhrman be a real leader by toning down the sensationalism so that people could actually be helped for a change? And why is Dr. Fuhrman still refusing my request for an interview? The invitation is still wide open and I don't have any idea why he wouldn't do it like Dr. Ornish did last year. Share your feedback about Dr. Fuhrman's comments at the "Disease Proof" web site. Great post Jimmy. All I can say is the ball sure is rolling now and it is great to see. My pleasure, Olivia! EXCELLENT JOB with the video review. WOW! Amazing how stupid people are. Gary Taubes is a known Atkins' devotee and nutritionally naïve and led by the Atkins' crowd. Now he has his own book. All I can say is that this makes me look like a genius comparatively when I am only stating the obvious.. This is great news - I was persuaded to try low carb because of Taubes 2002 exposé in the NYT magazine. I hope that others will be similarly persuaded by this book. Last night I got to the part where Taubes argues persuasively that people are not overweight because they are inactive and eat too much- people are inactive and eat too much because they are overweight. A switch clicked, and everything was instantly clear - I studied history of science in college, and this was truly like the moment in history where Copernicus argued that the earth revolves around the sun, not the other way around. Suddenly all this data that didn't make sense is explained. I also have some hope that this explanation will take away some of the moral overtones of the treatment of obesity. The notion that people are fat because they are gluttonous, lazy slugs is pervasive. But if the opposite is true - obese people's cells are in such a state of cellular starvation that they are constantly hungry and tired - then perhaps we can finally get rid of words like "glutton" and "lazy" from our vocabulary altogether. Or am I being too optimistic? You certainly speak to the cry of my heart, Psipsina! EXCELLENT OBSERVATIONS! Curious as to what makes the UK version almost two hundred pages longer. Bigger type for the Brits? It's not longer, John. It's the same length as the US version. There may be a few minor changes, but the totality of the book will be virtually the same. Oh, I forgot to add that I think it must be snowing in Hell, because I never, ever thought I'd find myself on the same side of any issue as Rush Limbaugh. Hea[l]th = Nutrition / Calories? Hi Jimmy. I dropped a comment on the relevant diseaseproof.com post. I strongly suspect it will never see the light of day, nor that my request therein will ever be fulfilled, but we'll see :-) I thought I'd post it here, just so it doesn't completely fall in the black hole of ignorance. Taubes book presents a fairly balanced view of the existing research. He is careful to point out that the proposed connection between refined carbohydrates and disease is still hypothetical. As noted above, it's easy to find zealots on all sides of an argument (though it doesn't necessarily follow that a central position is correct), so Taubes relative neutrality is refreshing. As a scientist, what I found most impressive was how multiple threads of inquiry tended to point toward the same conclusion, from large-scale epidemiological studies to cellular and molecular biochemistry. As Taubes frequently notes, the final pieces of evidence linking the details of macronutrient intake and health have yet to be uncovered. But the existing evidence (at least the evidence put forth in Taubes' book) paints a remarkably consistent picture, all the more remarkable given both the complexity of the subject and the antagonism of a large segment of the scientific community. So it's time to stop dismissing anything low carb as "nuts". There's enough scientific evidence to warrant further serious research. If Dr. Fuhrman wants anyone outside of his own band of devotees to take him seriously, he needs to seriously address the research put forth in Taubes book. That means he either needs to show why the presented research does not in fact support the carbohydrate hypothesis (it's wrong, actually has stronger support for an alternative hypothesis, etc.) OR present a similar body of evidence supporting his own hypothesis. This will require going beyond simplistic and scientifically empty statements like "Health = Nutrition/Calories". If, as claimed in the banner at the top of this page, Dr. Fuhrman's approach is indeed "scientifically based", it should be simple for him to provide such evidence. I will eagerly await the posting which shows the body of scientific evidence supporting Dr. Fuhrman's position, and contradicting Taubes'. Well, I was pleasantly surprised to see my comment posted at diseaseproof.com (showed up under Spork above, due to some blogspot weirdness). Kudos to them for maintaining the spirit of intellectual exchange. Now I eagerly await the science! Hopefully they'll produce some so we can have something substantive to discuss. Maybe Dr. Fuhrman would reconsider Jimmy's request for an interview, and present his case in that forum. All Fuhrman is doing is proving one of Taubes' main points, which he would know if he read the book. It totally follows from the reporting Taubes has done of the how the low fat hypothesis became "nutritional law" that people will feel free to criticize conclusions which deviate from current dogma, no matter what led up to those conclusions. I challenge them to critique Taubes' *reasoning* - just which steps along the way do they disagree with? Then we can have a discussion. From what I've read from the publisher's webpage for this book, the author points to refined carbohydrates as the problem. Then I read a lot of people say he advocates eating a low-carb diet. Has anyone read the book and know whether he proposes just eating a different kind of carb, or eating lower amounts of any carbs of all kinds. Taubes' conclusion is that most carbs of every kind are the culprit behind obesity and disease. There is no such thing as healthy whole grain carbs. Hmmm, interesting thought, I wonder what he would say. Don't know how he'd regard About.com. I'm going to be doing a bit of traveling, but when I get back, I will seriously think about asking him.